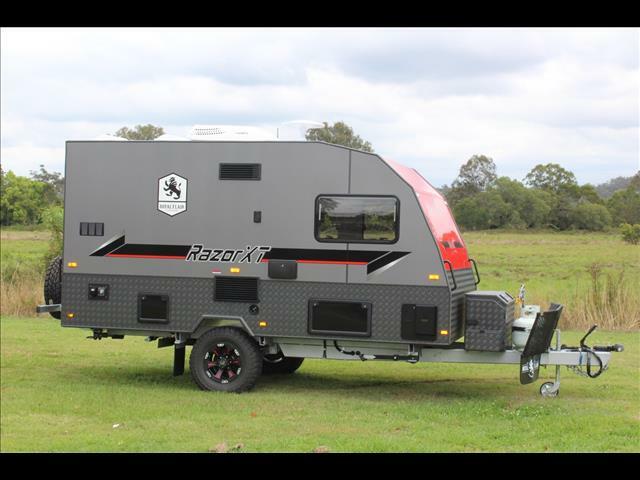 2019 RazorXT display unit ready for sale. 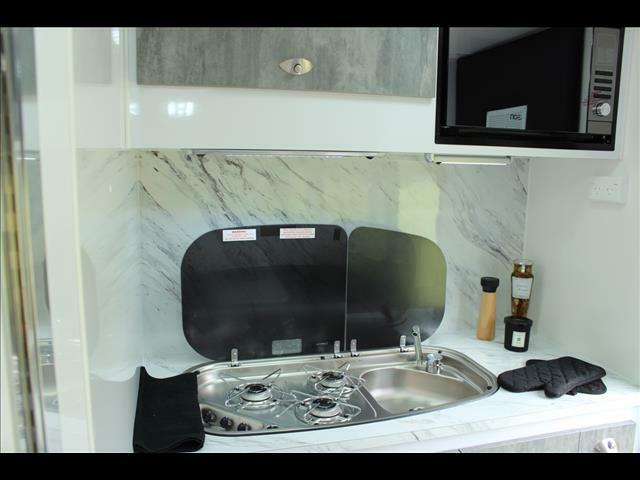 Royal Flair have always been renowned for both building a quality caravan that will last and not being afraid to do things a little different, take a look at their Raptor and Piazza. 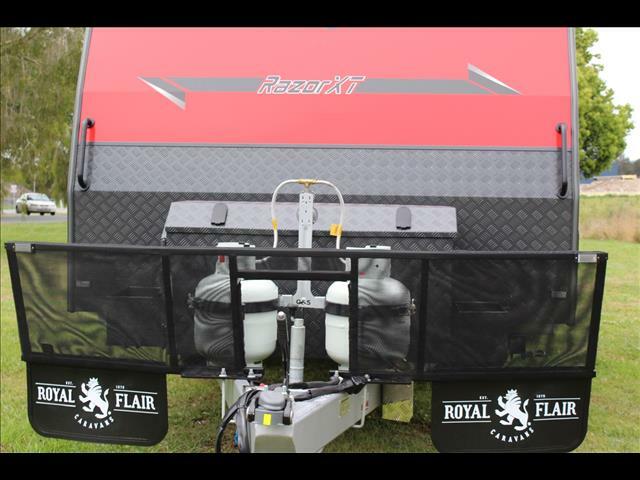 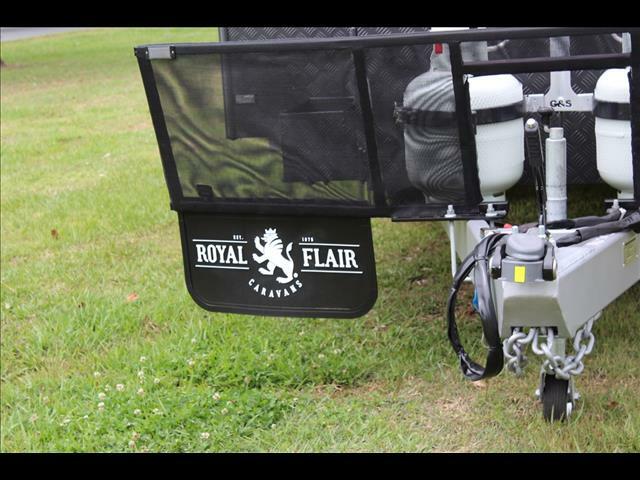 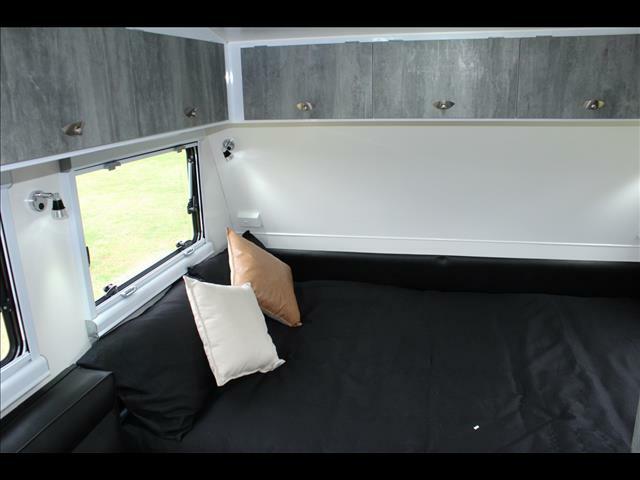 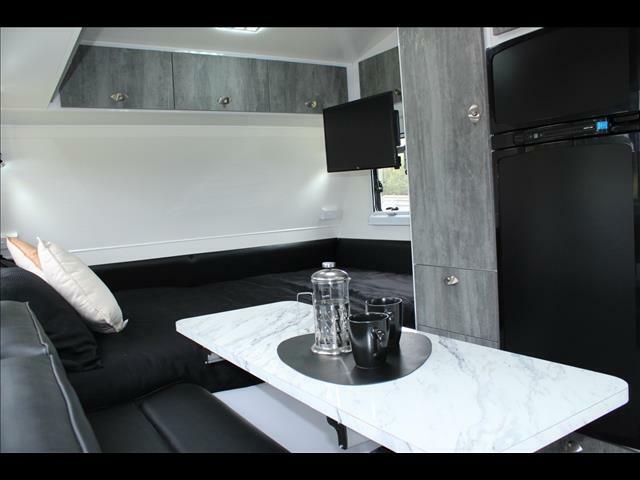 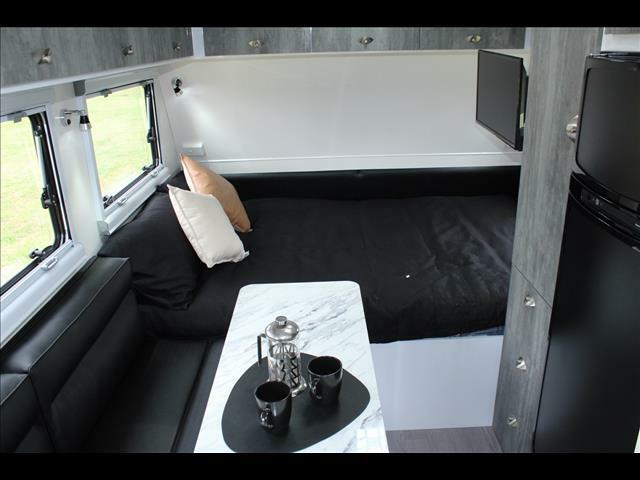 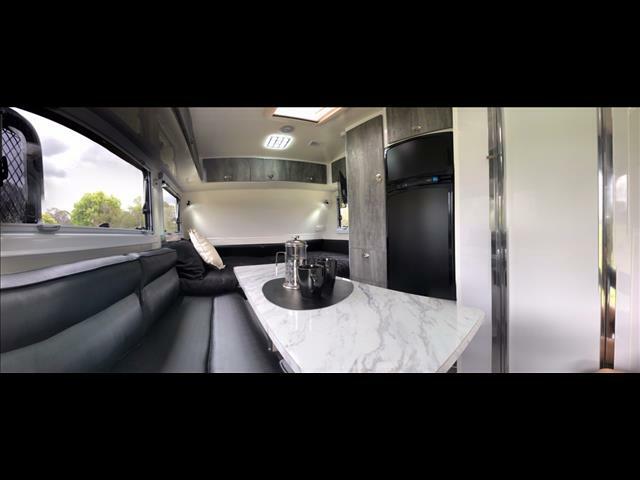 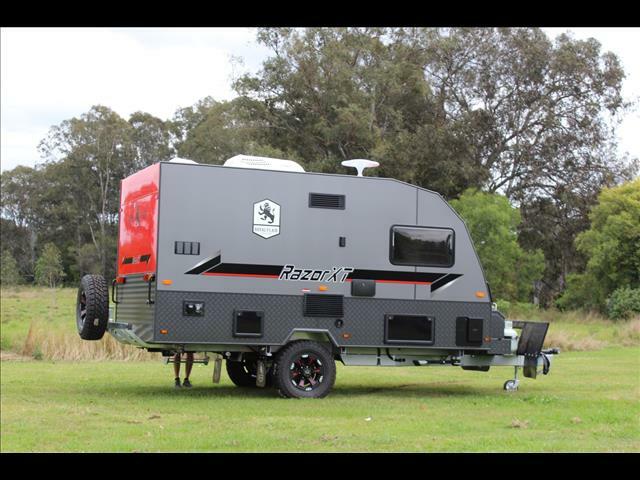 Here is another off road caravan from Royal Flair that redefines the category and lifts the benchmark for others to try and follow. 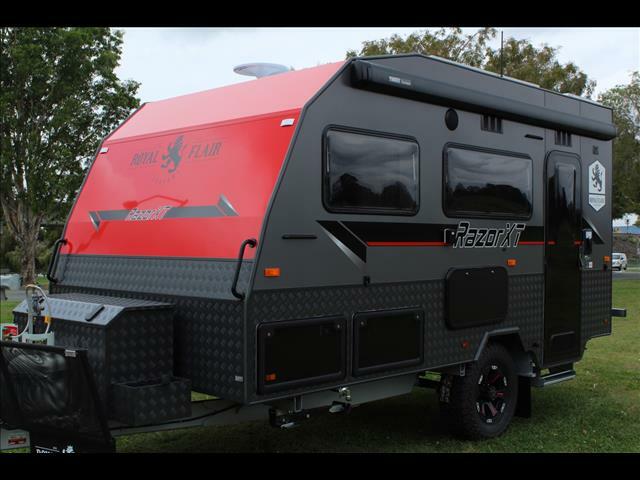 A 14&apos;6 full off road caravan with an island bed and an ensuite. 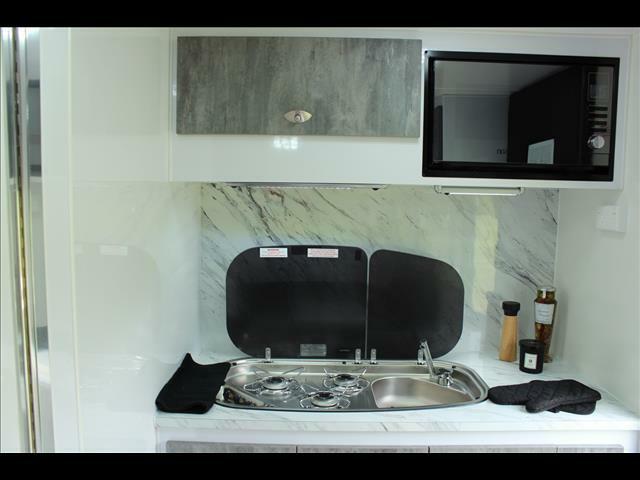 So there is no more rolling over someone in the middle of the night if nature calls or you need a glass of water and you no longer have to worry about your toilet paper getting soggy in a confined shower/toilet combo! 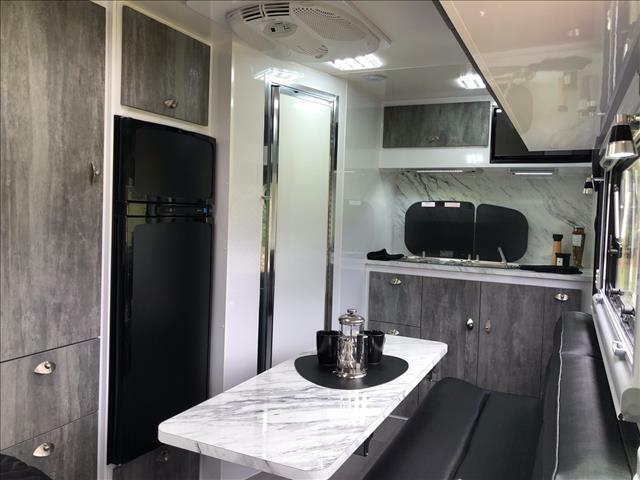 Inside has full LED touch lighting, TV/DVD combo and wall mount, microwave, kitchenette with sink, 184L Thetford fridge, queen size island bed, adjustable swinging table, leather seating, air condition and ample storage. 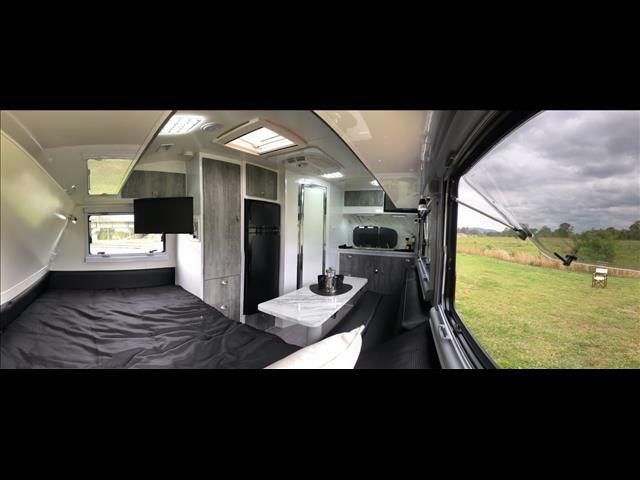 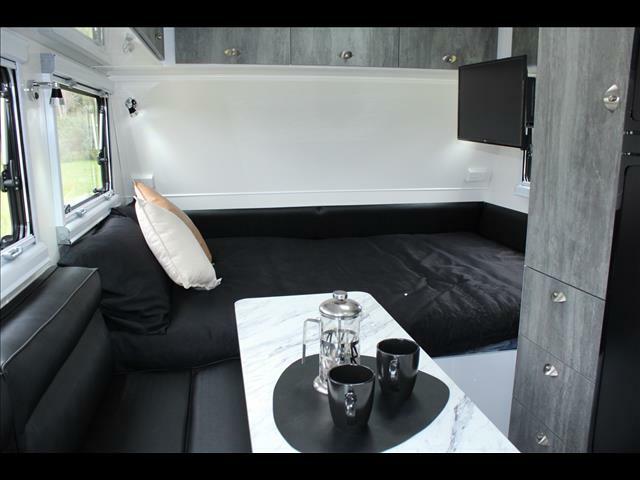 Outside you will find everything an off road caravan should have, a Dometic awning, outdoor kitchen with a plumbed sink, drop down picnic table, external shower, massive storage area under bed with external access, tool box with generator slide, 2 x jerry can holder and worklights. 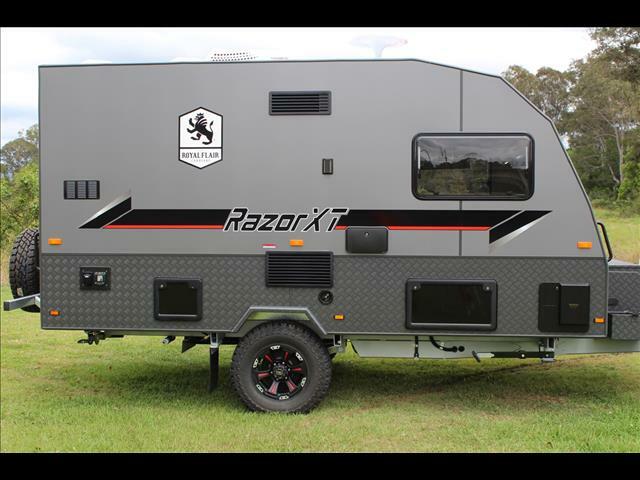 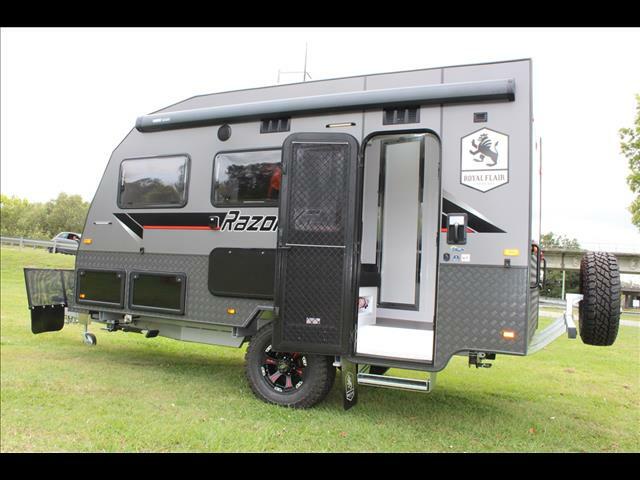 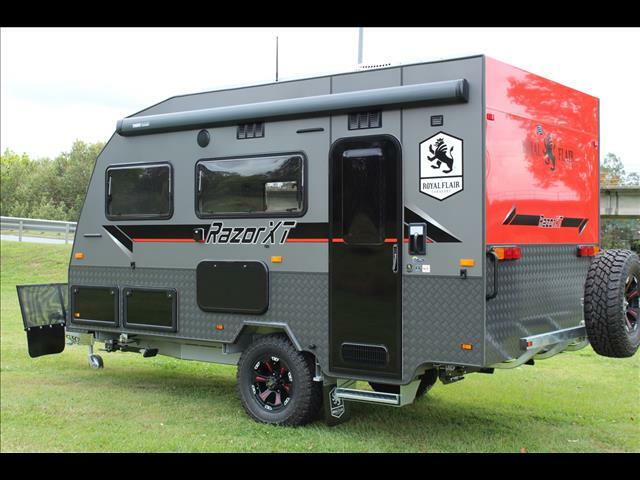 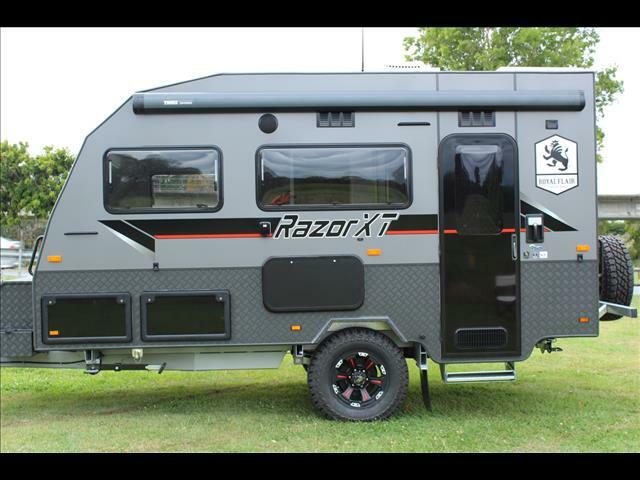 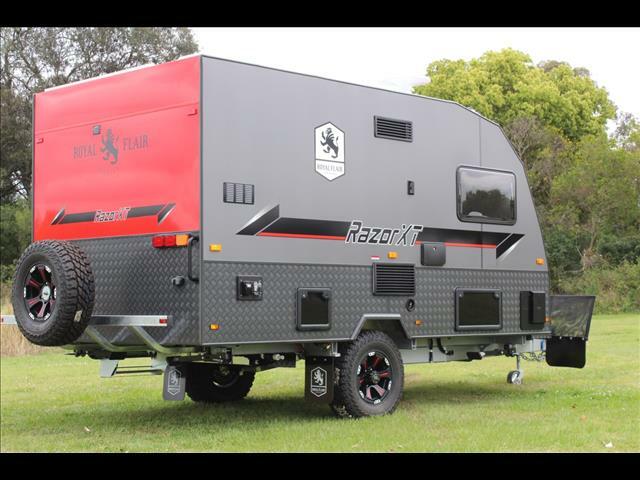 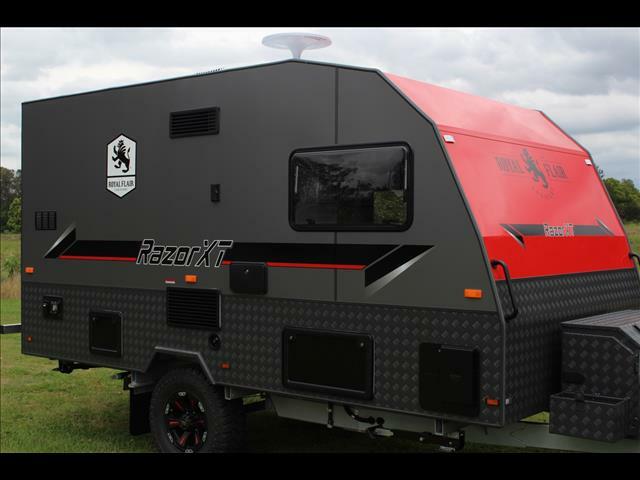 The Razor XT off road caravan has AlKo Enduro Outback 2750Kg independent suspension, Supagal Chassis and an off road specific DO35 coupling. 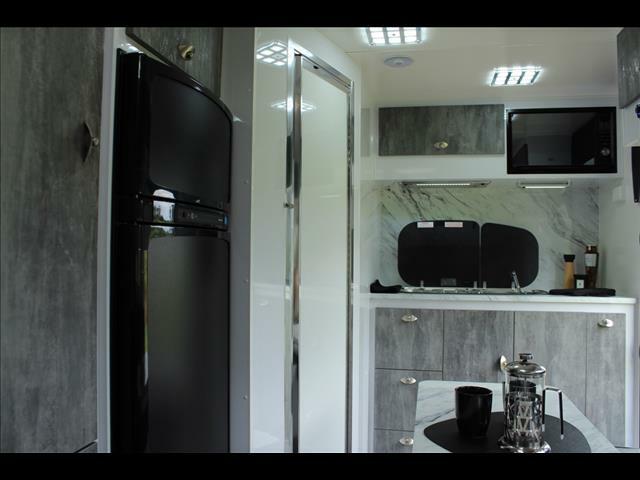 This is an off road caravan that is built to last with Alucobond Composite panels front, rear, sides and an Alucobond Composite roof. 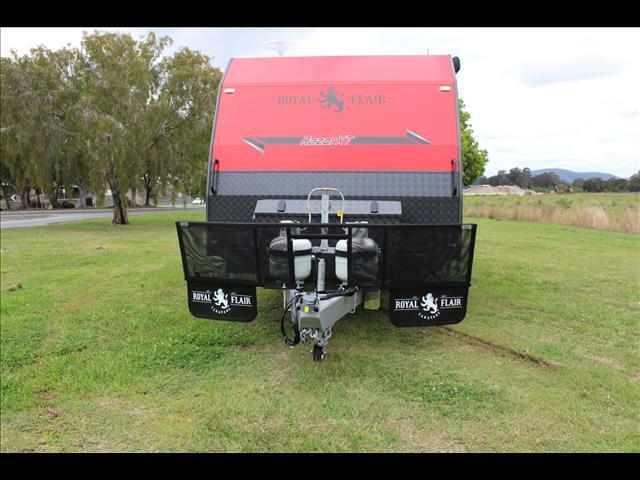 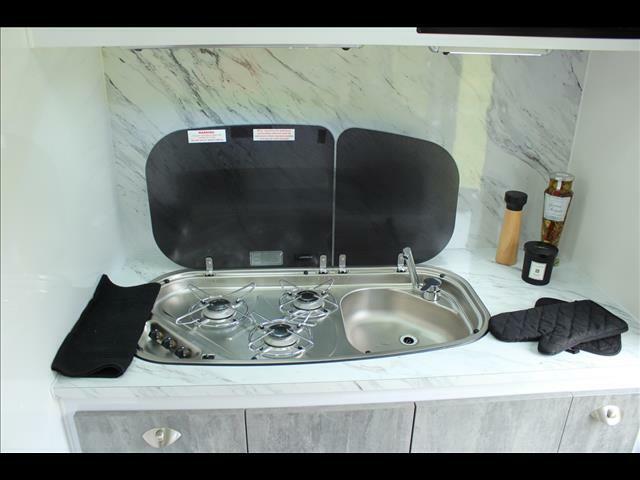 With this Royal Flair off road caravan you will get something no one else can give you...42 years experience in caravan building, yes that&apos;s right, 42 years. 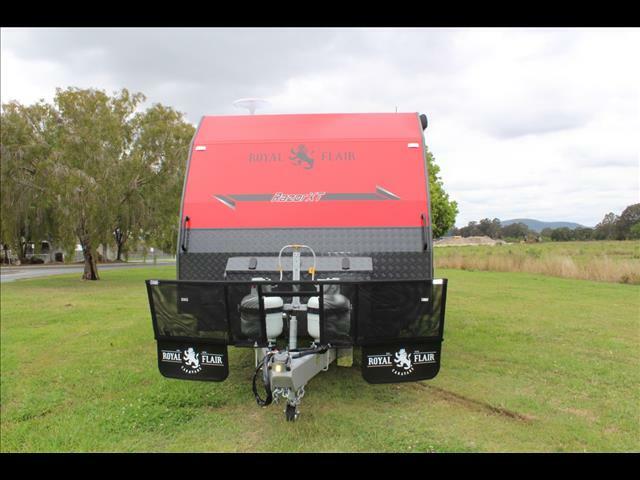 And a full 3 year manufacturers warranty, Australia Wide!